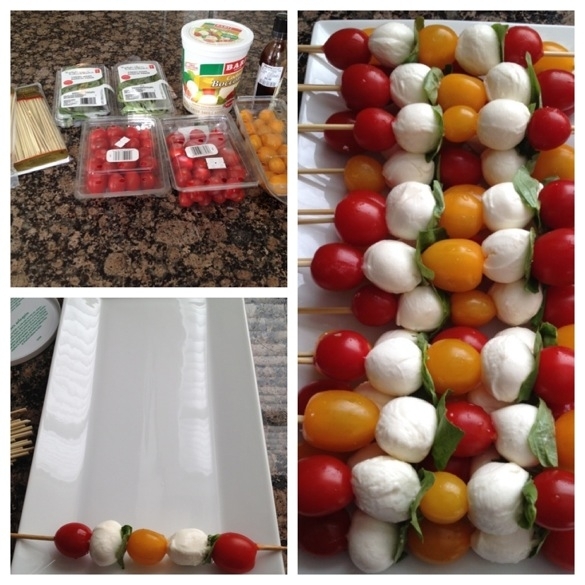 Now is the time of year that the kids activities start to wind down and you start to think of summer entertaining! When invited out, I like to ask what I can bring. Often it’s an appie and lately, I’ve been trying to cut down on my carb intake. I’ve learned that carbs unfortunately are my enemy and stick to me like glue!! So, I’ve been trying to find carb-less appies and I’ve found that you can make some of your favorite salads into appies that are SO yummy and good for you too! I LOVE tomato and bocconcini salad. Recently I brought these skewers to a baby shower. I love finding tomatoes in a variety of colors…it just makes it more interesting. And the yellow tomatoes are SO sweet. Just alternate tomatoes, cocktail size bocconcini, and basil leaves. 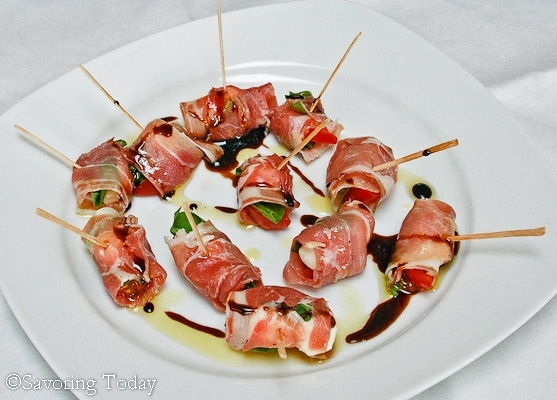 A great finishing touch to this is drizzle of balsamic glaze with truffles (I found some at HomeSense). 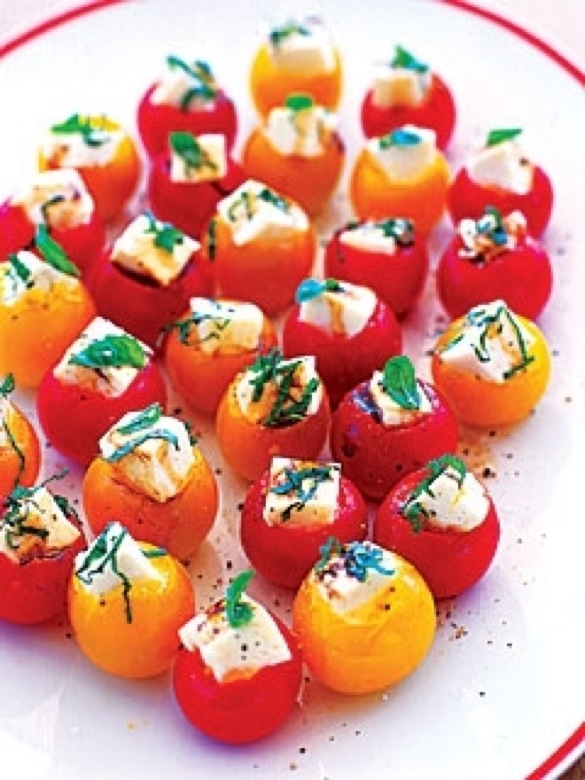 I love these Caprese Salad Bites. All the flavors of this iconic salad in one bite! Greek salad is always a fave around my house. Here’s a way to make it appie style! 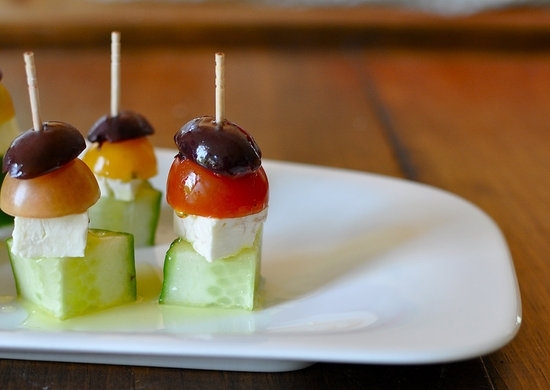 http://www.yumsugar.com/Easy-Greek-Salad-Appetizer-Recipe-8174824 The only thing I might change to this recipe is to add a drizzle of Greek salad dressing (preferably homemade) instead of just the olive oil. Use a variety of tomatoes here too! 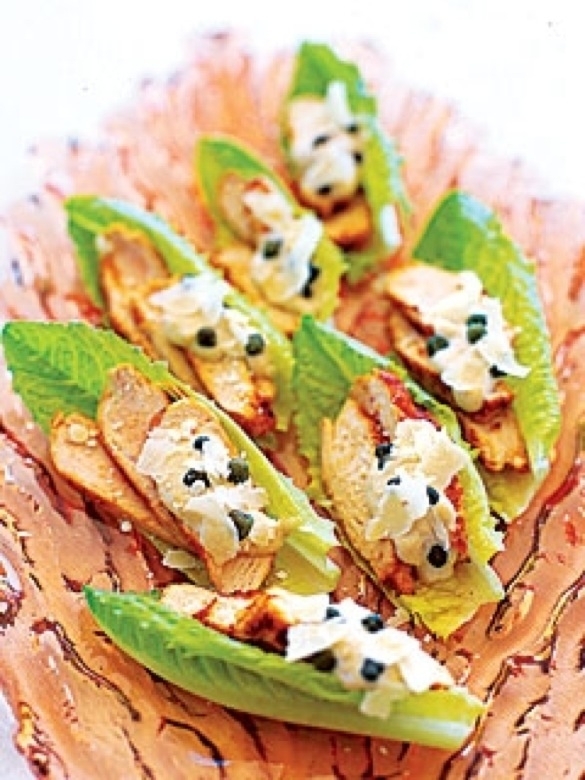 I’ve also made these Chicken and Caper Caesar Salad Spears. If you are in a huge rush, you can use a ready made Caesar salad dressing. I prefer Renee’s Mighty Caesar dressing! Love that this appie packs a lot of protein and I love the saltiness of the capers! If you have a favorite salad-appie, please let us know via a comment! We’d love to add to our repertoire!